I am back with my entry into the current Freshly Made Sketches challenge! I used the Birch Press Design Dahlia Mini Frame Layer Set to cut into three panels that I’d coloured with Distress Oxide Inks. I layered them onto a background panel and inlaid the centres of the petals which I had cut from glitter cardstock. I added a sentiment from Simon Says Stamp to finish off my card. Another day, another Easter card! Today I’m playing along with an oldie but goodie! This egg die from Simon Says Stamp is a few years old now, but still one of my favourites! I used a few of my new Gina K inks and the Color Throwdown colour palette (orange, yellow and blue) and one of my favourit techniques – inlaid die cutting. The sentiment is by Poppystamps. I’m also entering this into the Simon Says Stamp Flickr challenge (die cutting). I don’t really create many cutesy cards… except at Easter time it seems! I guess I just can’t resist those sweet bunnies! Today’s card uses dies from three companies – Memory Box (bunny), Lawn Fawn (eggs) and Simon Says Stamp (frame). 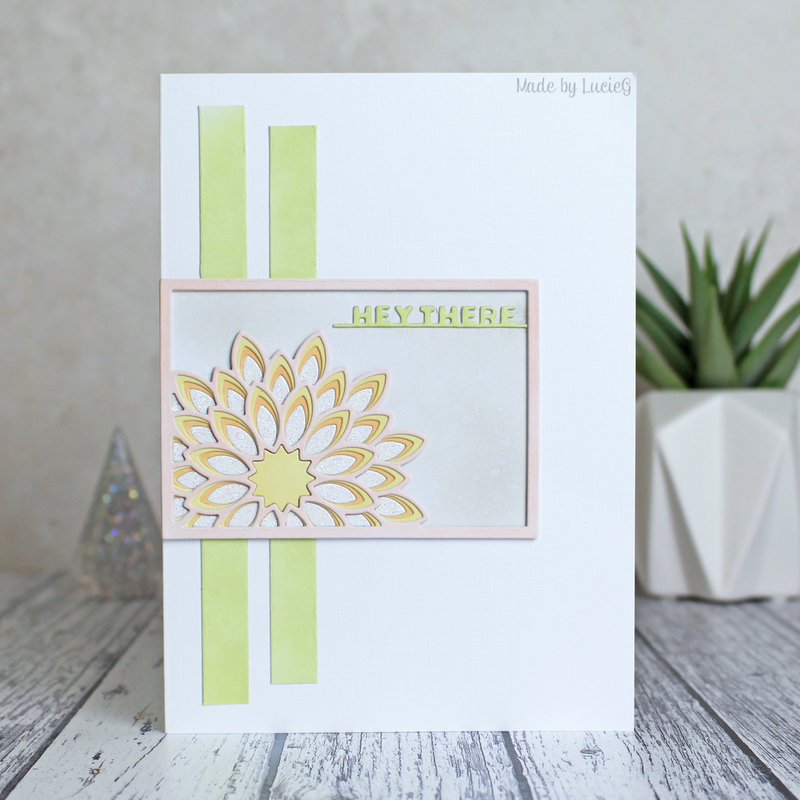 Just popping in quickly to share my card for the Freshly Made Sketches challenge. I used the Peek-a-boo Bunny from Poppy Stamps, a sentiment from an older Simon Says Stamp set and an Echo Park Paper stencil. The papers are also by Echo Park.